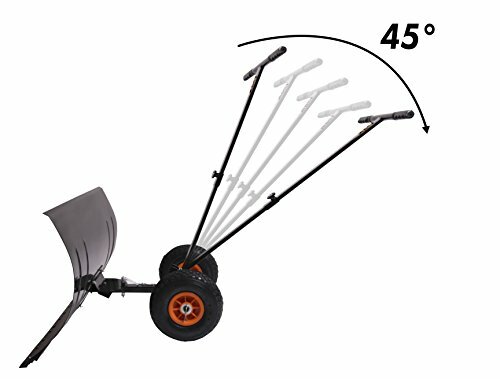 ❄ ADJUSTABLE SHOVELING ANGLE: The large concave blade is adjustable up to 45 degrees bi-laterally, which clears away snow faster and more efficiently than traditional snow shovels. ❄ HEAVY-DUTY STRUCTURE: Made of full metal with a durable black paint overcoat that removes snow faster and more efficient than plastic shovels. 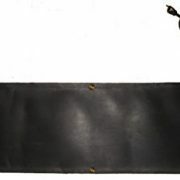 This snow pusher is extremely durable and made to last season after season. Shoveling snow can be a long and tedious task that everyone has to do. Don’t waste your time outside in sub freezing temperatures during the harsh winter months. The MD Sales Force Wheeled Snow Pusher is the best way to save time and energy this winter. 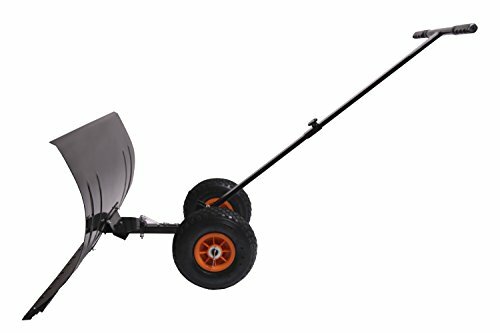 The durable snow plow blade and 2 large wheels makes clearing snow fast and effortless. 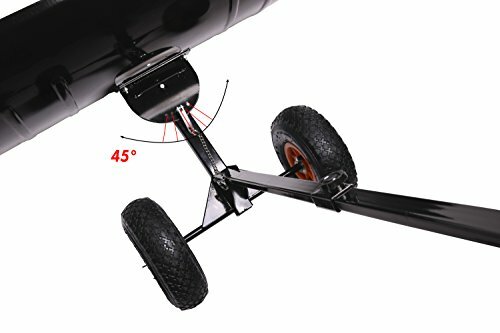 The adjustable arm takes the bending and heavy lifting out of the equation. 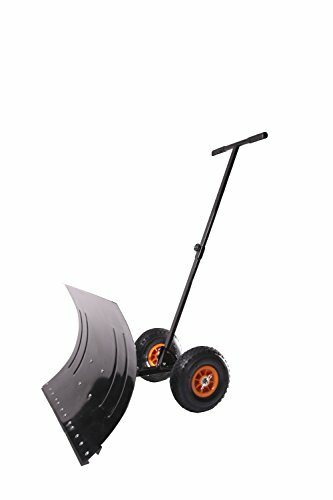 This wheeled snow pusher was designed to save you from all the hard work that comes with clearing your driveways and walkways during the winter months. Put the excitement back in snow days with the Wheeled Snow Pusher by MD Sales force. – Please tighten all connections before use. Failure to do so might cause damage to the product. – This product was intended to be used on solid surfaces. Use on gravel, pavers, or rugged surfaces might result in less than optimal performance. ❄ EASY INSTALLATION AND STORAGE: Assemble this wheeled snow pusher in minutes! Collapsible for easy storage when not in use. For optimal performance year after year make sure to dry after use. ❄ TIME AND EFFORT SAVING: Let the MD Sales Force Wheeled Snow Plow do the work for you this season. RHS Valley Heater roof snow and ice elimination systems are good looking and cost effective. They ensure that the house owner will not have the frustration, property damage, and costs associated with water damage caused by the inability of roofs to drain water during winter months. 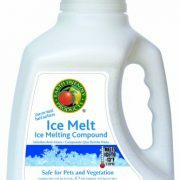 Melts 2 inches of snow per hour, UL listed components are made to sustain the most harsh environments. RHS Valley heaters have a complete waterproof system which serves for the most demanding environments including hazardous and non-hazardous areas, as well as areas where corrosives may be of concern. 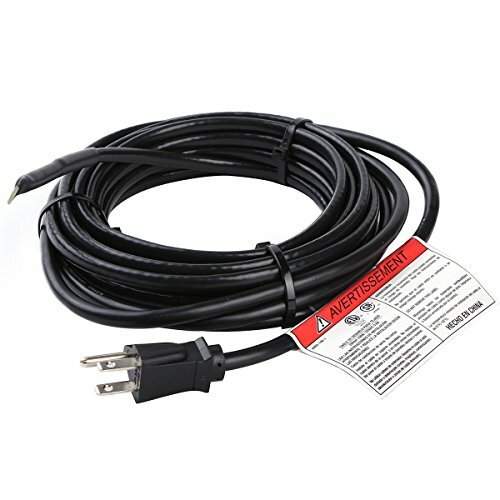 The valley heaters provides 40 watts per foot at 120 volt. 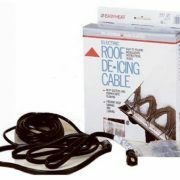 Easy installation, valley heaters are 8 feet lenght (can be made in 10′, 15′, and any other size up to 50′ ft. for custom orders) roofing grommet screws included with the system are 100% waterproof and easy to insert on the valley heaters.